The Crete Golf club is a marvelous new addition to Europe’s rich reservoir of courses and it will soon be regarded as one of the finest tests in the whole of the southern Mediterranean. 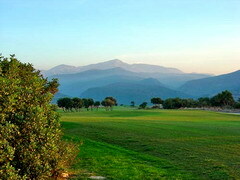 The Crete Golf Club is home to the first 18-hole golf course on the island of Crete, offering to golfers and visitors a challenging and enjoyable golf experience throughout the year. The course has been built in an exciting desert style design. Each hole has been individually sculptured to blend into the existing landscape. Designed by Bob Hunt of PGA DC of Great Britain, this course offers dramatic views and truly tests every aspect of the golfer’s repertoire. The architects have made every effort to protect the environment. Many ecologically friendly features, such as modern water treatment and large untouched areas, are to be found. This mountainous golf course, the most challenging in Greece, is meticulously maintained and compliments the typical landscape of Crete. Continually breezy conditions allow play in the summer. As the mildest climate in the Mediterranean makes it suitable for play in all seasons, the course will be open all year round. The use of battery-operated buggies insures a continuous quick pace in the game. You can enjoy life in the opulent clubhouse, where the friendly service team is ready and eager to cater to your every need. Après golf, you can relax on the 120m2 terrace overlooking three ponds and the 18th green. 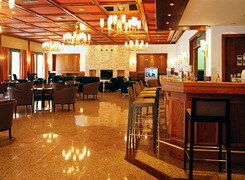 The spacious restaurant offers the perfect venue for your banquet. 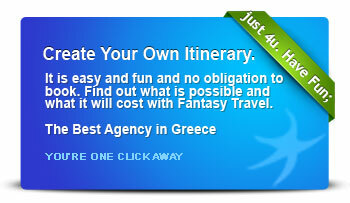 Learn how to play golf at The Crete Golf Academy, and hone your game at the practice facilities. These include a double-ended 300-yard covered driving range with a short game area and two practice putting greens. Last but not least, the Pro Shop is stocked to satisfy the needs of the discerning golfer. Directions: The Crete Golf Club lies approximately 24 km east of the “Nikos Kazantzakis” International Airport of Heraklion, 7 km south of Hersonissos. With Heraklion as your starting point, go East on the “New Road”, the E75, towards Agios Nikolaos and turn south (right) on the Hersonissos intersection in the direction of Kastelli, 3.5 km. 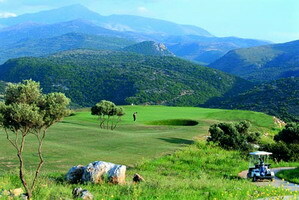 The Crete Golf Club lies on your right hand side.